The Warwick and Leamington Gurdwara Temple. 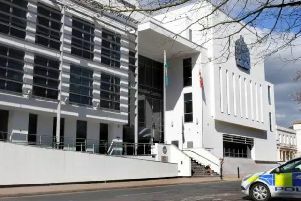 Campaigners who staged a protest inside Leamington’s Gurdwara today (Sunday), which led to 55 arrests, said it was “peaceful and misunderstood”. It is believed the protest was over a mixed wedding that was taking place in the temple. The group Sikh 2 Inspire has put out a statement on its Facebook page, attacking the police and media for, in its words, “misunderstanding the situation”. Police said they arrested 55 people and seized a number of weapons but no one was injured. They later went on to say: “The peaceful protests are about non Sikhs undertaking a Sikh religious ceremony in a Gurdwara which is not line with Sikh protocol. The Anand Karaj (Sikh Wedding ceremony) is one of a number of religious ceremonies in a Sikh’s life, including birth, initiation (Amrit) and death. Each of these is built about Sikh practice, belief, hymns etc. “If someone from a Sikh family wishes to marry someone from another faith, that is their personal matter but the religious ceremonies require both parties to be Sikh. Where this is not the case the couple are invited to undertake any other ceremony they wish, civil marriage etc, as per their personal wishes. “The arrests today and police response were totally unnecessary and the press have widely over reacted with language used to provoke and intimidate readers - ‘storm’ ‘invade” etc.